Last night's episode of Game of Thrones brought fans a couple answers to questions from season seven (such as: will Jon ever ride a dragon? ), but mostly it just added new questions to the mix. 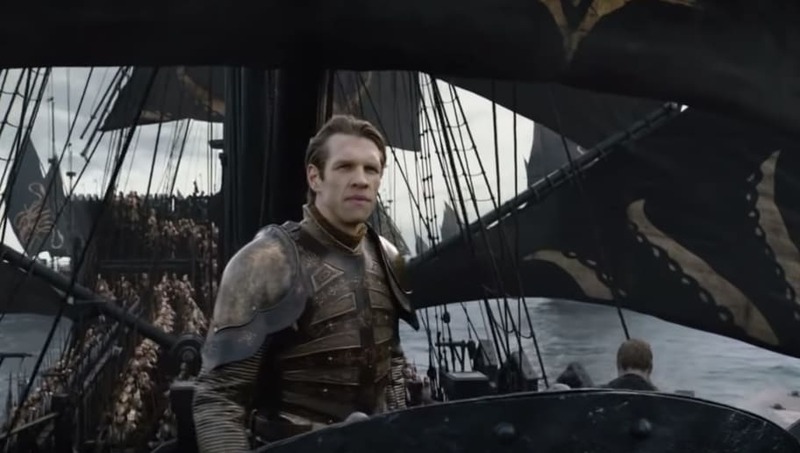 One of the biggest things we'll be keeping an eye on in the coming weeks is the plan from Euron Greyjoy, Cersei Lannister, and the Golden Company army with its captain, Harry Strickland. The Golden Company is described as a skilled army with "10,000 infantry, cavalry, and war elephants" (Greyjoy's negligence to bring said elephants did not go over well with Cersei Lannister) and poses a threat to the army formed by Daenerys Targaryen and Jon Snow. According to the Game of Thrones Wiki, the Golden Company have the reputation of never breaking a contract, and were founded by supporters of House Blackfyre. The first time we hear of the army on GoT, Davos Seaworth tells Stannis Baratheon he should hire them to help take the Iron Throne. Later on, we learn that Jorah Mormont actually fought with them before he eventually joined Viserys and Daenerys. The addition of this army means that Dany and Jon will be challenged to the North by the White Walkers and Night King, and to the South by Cersei and this Golden Company army. The introduction of this element has also made fans wonder if we'll be getting an appearance from Young Griff—a character in the books who claims to be Aegon Targaryen and tells Strickland to attack King's Landing. While it seems unlikely a new character would be added to the mix with just five episodes left, Game of Thrones is nothing if not unpredictable. We'll be waiting to see what happens when next week's episode premieres on April 21.